The Society of Professional Journalists San Diego Pro Chapter presented its second annual Sunshine Award to former San Diego City Council member Donna Frye on National Freedom of Information Day March 16. The award honors Frye for her outstanding efforts in supporting transparency in government. During her tenure on city council from 2001 to 2009, she was dedicated to open government, boycotting closed council sessions until city council rewrote its policy on such sessions, forcing the lifting of limits on public comment at meetings, forcing the public release of a study that determined the true costs of providing sewer service and showed that residential customers were partially subsidizing service for businesses, and helping pass a ballot measure that improved access to city records, among other efforts. 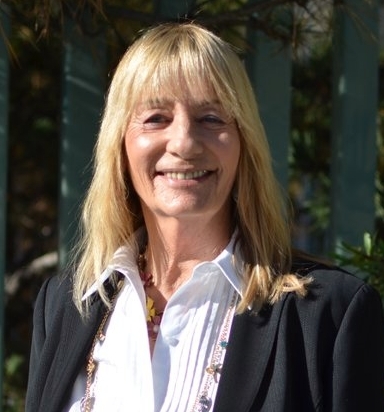 Frye said she often felt shut out and “punished” by the mayor and administration during her council tenure because of her outspokenness, and she said she was very pleased to be recognized for her work to make San Diego government more transparent. Frye said open government is important because transparency results in more efficient, financially responsible and fair government. She also added that government benefits from listening to the citizens and activists who speak up at meetings. SPJ presented the award during a Sunshine Week reception and program at the Joan B. Kroc Institute for Peace and Justice at the University of San Diego. SPJ is part of the coalition that sponsors Sunshine Week, a national initiative to promote a dialogue about the importance of open government and freedom of information. Sunshine Week is celebrated every year in mid-March, coinciding with National FOI Day and James Madison’s birthday on March 16. Last year’s SPJ-SD Sunshine Award winner, State Sen. Leland Yee, introduced legislation declaring March 13-19 Sunshine Week in California. The bill, SCR 8, was passed unanimously in the State Senate March 3, was passed by the Assembly Rules Committee and is awaiting a vote in the State Assembly. For more information about Sunshine Week, visit www.sunshineweek.org. Register now for SPJ regional conference – The New Wave of Journalism!